A determination of the energy storage capacity is very important for designing energy storage system. In this chapter, the energy storage capacity of FESS is determined from a point of view of adequate frequency control ability but reducing it as small as possible. The power rating of FESS is decided as 70% of that of the wind farm since instantaneous output change of the wind farm can hardly reach its power rating in normal operation. Comparative study between the proposed frequency control method (shown in Fig. 7 and Table I) and a power smoothing method (shown in Fig. 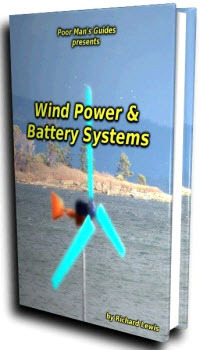 12 and Table V) which is generally considered in a wind farm connected to large power system, is performed in the simulation analysis here. In conventional power smoothing method, an energy storage system only smoothes wind farm output fluctuations, and slow change of wind farm output is absorbed by several thermal and hydraulic power plants installed as main generators in large power system. However, since the total power rating and the number of main power generators are limited in the case of an isolated power system, power regulation may become difficult even when wind farm output fluctuation is small. Moreover, the output of main power generators should be adjusted also to maintain the amount of residual energy of storage system. 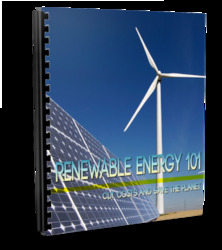 If the stored energy is not regulated suitably, power balance of the isolated power system cannot be kept when the stored energy reaches full or empty level. Therefore, it can be said that the frequency stabilization in the case of an isolated power system cannot be achieved only by the conventional power smoothing scheme. In the comparative study, simulations by the conventional output power smoothing method have also been performed, in which the reference output from the WF to the grid is determined by inputting the net WF output into a first order delay transfer function and FESS supply the difference between the reference power and the net output to follow the WF-to-grid output to the reference value as shown in Fig. 12. Therefore block A in Fig. 7 is replaced by Fig. 12 and the rule of FESS control shown in Table I is also replaced by Table V. In the conventional method, the cooperation control with the main power plant is impossible. The power rating of FESS is chosen to be 7MVA, same as that in the frequency control method, and the time constant of the first order delay is set to 30s. Fig. 13 shows system responses under the proposed frequency control method and the conventional power smoothing method. The frequency deviation reaches about 0.3Hz at the maximum in the case of the power smoothing method, but it is regulated within about 0.05Hz in the case of the frequency control method. The stored energy of FESS is remained well between the maximum and the minimum levels, from which there may be a possibility that the energy storage capacity of FESS can be reduced. Responses of the prime mover output (diesel engine output) are almost the same in both methods.